A place to post pics of 2017 foals. Babies are a fun and graceful thing to look forward to. Thanks QueenfanZ. "It's very exciting," said Fred Seitz Jr. of Brookdale Farm. 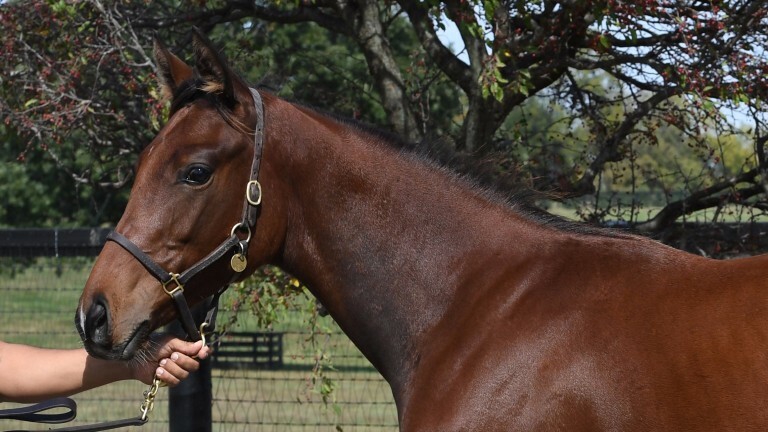 "For a first foal, he's a very nice, very attractive type. Personality wise, I think he seems like he's going to take after his dad with that mellow-type personality. Most babies are kind of skittish and want to run around behind their mother but he's not that type. You walk in the stall and he comes right up to you and starts chewing on your hand. He seems to be real bold and have that fun personality. Granddam Chilean Champion 3 year old; Wild Spirit. Can't wait to see the other Pharaohs and I can't wait to see all the foals how do we keep up with them all? It is up to the breeders whether they share info. 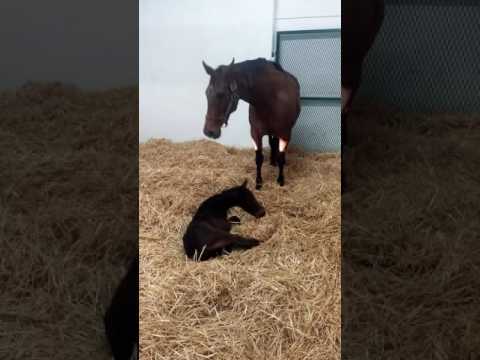 Thousands of foals born every year in the US alone, not including those born in other parts of the world and we only get a fraction of it in the news. I guess I am grateful for the pics that we see. All of them, would indeed be, to say the least, overwhelming! in the shape of Bay Filly over in Ireland. She is a solid little girl.